The Quintric monetary system combines the best aspects of precious metals, cryptocurrencies, and legal tender into one revolutionary, patent-pending, medium of exchange. Each Quint token constitutes five U.S. gold cents (one 1/1000th of a one-ounce, U.S. legal tender, gold coin) payable on demand in minimum 1,000 token increments for an American Eagle/Buffalo gold coin, bearing a fifty dollar face value. Each QuintS token constitutes five U.S. silver cents (one 20th of a one-ounce, U.S. legal tender, silver coin) payable on demand in minimum twenty token increments for an American Eagle/Walking Liberty silver coin, bearing a one dollar face value. A Dollar as Good as Gold. Whenever the dollar has literally been as good as gold, price levels have stabilized and the economy has flourished. 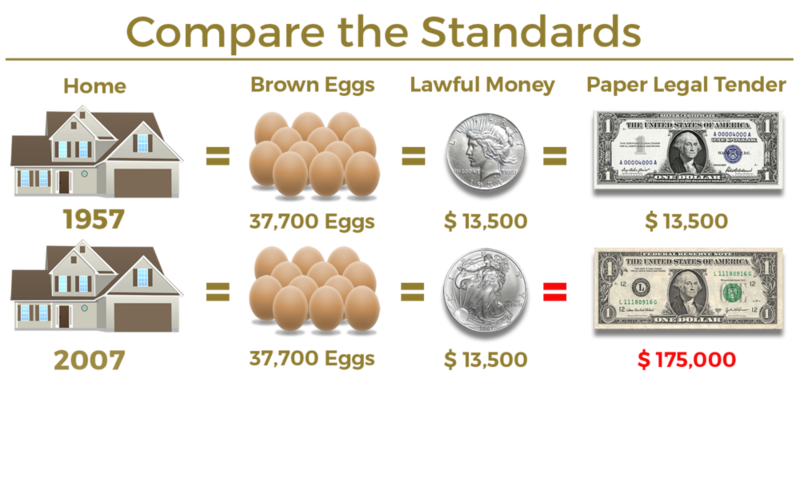 The Quintric monetary system empowers anyone to reap such rewards by adopting their own gold standard today. Payable in Gold & Silver Coin. Just like the United States Treasury's gold and silver certificates of the past, Quintric Monetary Tokens are payable on demand in precious-metal legal tender coin (at official retail exchange rates published by the United States Mint). Carrying costs can dissipate up to half the value of gold holdings in a lifetime. Vaulted silver erodes away at triple that rate. Fortunately, Quintric retains in trust enough from the initial premium to cover vaulting and insurance in perpetuity at no cost to the token holder. Contrary to popular belief, your money doesn't really have to lose value over time. Historically, commodities and commodity money have retained their purchasing power over long periods. Precious metal legal tender repeals the inflation tax imposed by fiat currencies. On many existing exchanges, cryptocurrency transactions can take hours to complete. To avoid this inconvenience, Quintric selected to launch its tokens on the Bitshares platform which supports near-instantaneous processing times and custom wallet names. Virtually all cryptocurrencies are either taxable property, regulated securities, or both; however, the Quintric Monetary Tokens are neither. Consequently, Quintric makes tax and regulatory compliance in the cryptosphere easier than ever before.